Chewing gum was never permitted in my elementary school classrooms. But every once a while, my friends and I would split a package of bubble gum on the bus. Once we got to school, we'd have to get rid of the evidence. You'd have to put it somewhere. Under a desk? Tucked in around the window frame on the bus? Maybe just spit it onto the sidewalk. My disposal method of choice was a torn piece of notebook paper; I'd wrap the gum inside and then drop it in the wastebasket. Somehow, though, we never outgrow the childhood conundrum of what to do with chewed gum. Many adults, it seems, simply choose to stick gum anywhere—under benches, restaurant tables, handrails, sidewalks—anywhere but a trash can. Gumdrop Ltd. is devoted to changing that. The business is built around the concept that gum needs to go somewhere. So why not collect it, repurpose it and turn it into something truly useful? The concept is genius, not to mention eco-friendly. And the alternative is, well, … just gross. The transformation starts with a simple receptacle aimed at keeping the world a little cleaner. In 2009, Anna Bullus' idea for gum recycling took shape when Gumdrop rolled out a plan to collect used chewing gum. The company works with municipalities throughout Europe to install small, bright-pink bins were folks can deposit the used chewing gum. It charges the city for the services, which helps to reduce costs associated with removing stuck-on gum from public spaces. Additionally, Gumdrop sells tiny keyring receptacles that go anywhere. The firm also provides free shipping which allows for the return of keyrings and any used gum collected at no charge to the gum-chewer. Once the gum is collected, it is repurposed into a sustainable rubber compound, dubbed Gum-tec, that can be used to make a number of products from guitar picks and rulers to Wellington boots and fashion-forward wingtips. Since its inception, Gum-tec has proven that it can make a significant difference when a number of people dedicate themselves to keeping cities cleaner and healthier. In the Netherlands, for instance, more than 3.3 million pounds of used chewing gum is removed from city streets each year. By removing the gum and processing it to be used in a rubber compound, Gum-tec was able to turn to the waste that nobody wanted into shoes that are worth getting your hands on. 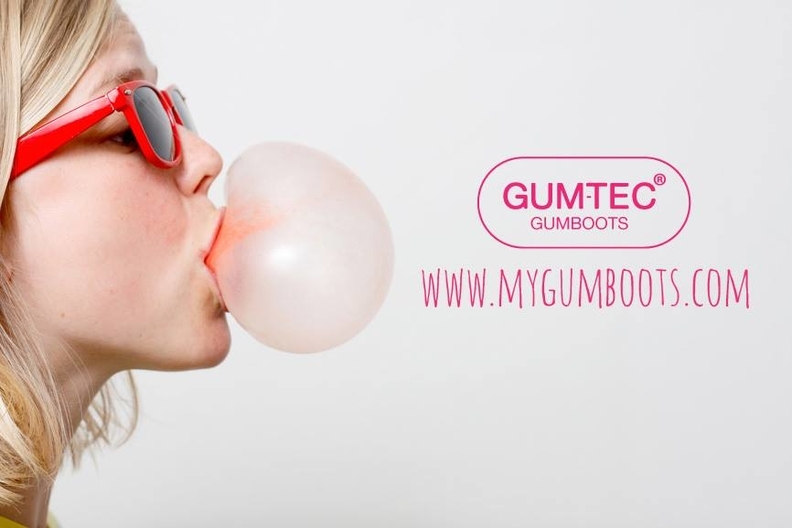 Additional information about Gumdrop, Gum-tec and the products it supports can can be found at gumdropltd.com. It's worth taking time to comb through the site and learn more about the ways in which the company is making a difference. If nothing else, check out the education section and lose a few minutes trying to catch and recycle gum in an Astroids-style game. Erin Pustay Beaven is the online content editor for Rubber & Plastics News. She is an appreciator of life's littlest treasures, a reader of great books and supporter of the Green Bay Packers and Cleveland Indians. Erin is an advocate for libraries, arts education and PBS. Follow her on Twitter at @EBeavenCrain.